HP LIFE helps Ada Bustamante achieve dream of owning her own company. Like many Americans, Ada Bustamante dreamed of opening her own business. However, working long hours in restaurants left her with little time to spend with her four children. For help to learn the skills necessary to run a successful company Ada turned to HP LIFE, a program of the HP Foundation, that provides free online business and IT skills training to people all over the world. Through HP LIFE, Ada has access to 25 self-paced courses full of information and practical exercises on topics such as communication, leadership, marketing, finance, and operations. Each of the courses are available in seven languages: English, Spanish, French, Portuguese, Hindi, Arabic, and Chinese. HP LIFE is helping Ada build the necessary skills to run her company, Clean World Better Living, more efficiently. Clean World Better Living is a residential and commercial cleaning service that uses only biodegradable cleaning products that have a lower environmental impact. Before HP LIFE, Ada said the organizational and administrative part of her business was a disaster. 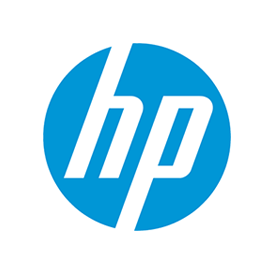 “HP LIFE e-Learning helped me find tools that I really needed to run my business. Now I know how to control my time at work and how to make spreadsheets. I am able to estimate an exact price for my clients,” said Ada. All her hard work is paying off. She’s already hired her first employee and has created a company website to publicize her business.